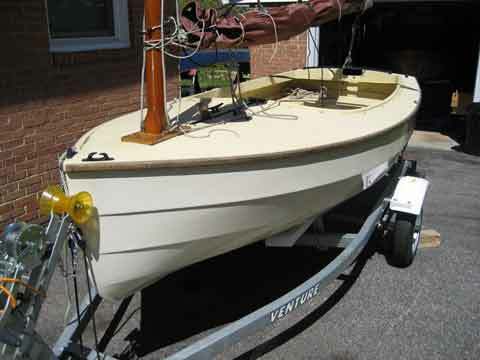 a 12-foot-long British-built sailing dinghy. The biggest little boat on the water. Sails well and gets lots of compliments. 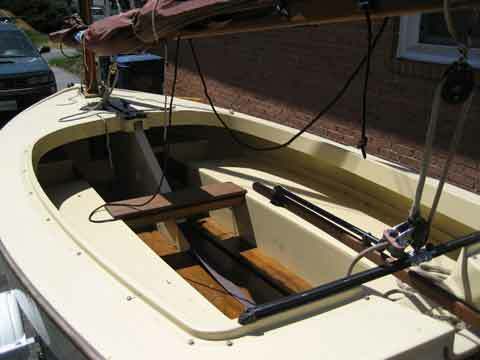 Includes oars for auxiliary power, but could be fitted with a small outboard. 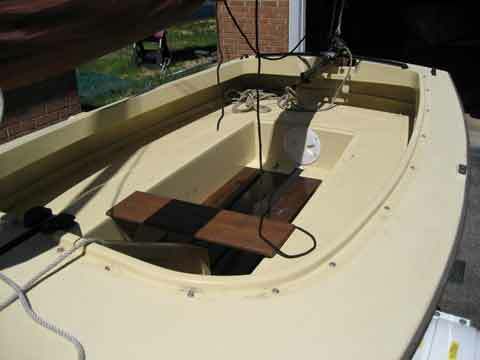 Includes cockpit cover, sail cover, and tent for sleeping aboard. More photos available by e-mail. 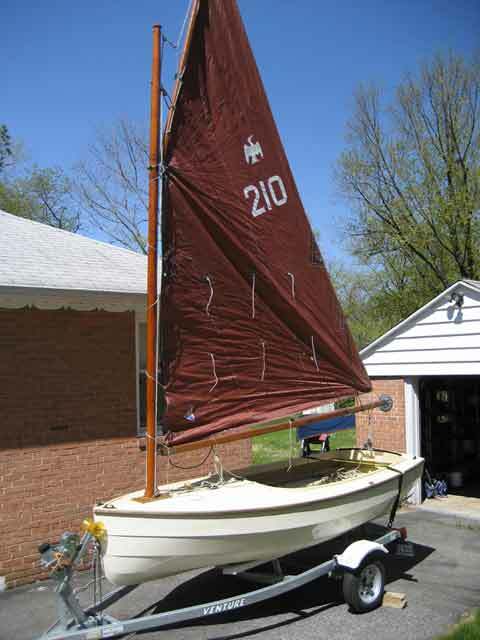 College Park, Maryland Howdy Price reduced to $PRICE, back on top of Sailboats for Sale list, etc. You have made your intitial 5% or more price reduction, now your ad returns to the top of the list with each price reduction of 2% or more.